“Come-on, come-on... Connect already! !” I’m pretty sure we’ve all muttered those words while waiting for the phone to start ringing, let alone get answered. Perhaps it’s a result of living in an age when most things are just a click away? The permanent present tense, as I like to call it. It may only be a few seconds, but it can feel like an eternity before you hear the ring-tone … especially when you’re in a hurry. You know the drill: You dial - you listen - you wait - you look at the screen, which simply says “dialling”. Sound familiar? Even in the best networks when you’re out and about, call set-up times, especially those across network technologies, say LTE to WCDMA, can be rather annoying. Finally, the call is answered. Great! or so you think… “Hello, Anil here”. “Hi Anil – it’s Patti”, you quickly reply. Then there’s that pause… You know, the one where you realize you haven’t been heard. Here we go - “Hello, who is this, please?” … “It’s Patti, from accounts?” you say with the clarity of a polished public-speaker. “Ah, Hi Patti. I’m sorry, I didn’t recognize your voice, for a moment you sounded so different!”. Anyhow, we’ve all been there; quality of voice can sometimes make conversations “challenging”. The fact is, the ability to make mobile voice-calls is often simply taken for granted. It’s only when things don’t live up to the expectation that they should happen immediately and with great voice quality that users even think twice about it – and sometimes at the operator’s cost. Let’s face it, good-old voice-calls aren’t exactly headline news anymore. Nonetheless they’re indispensable to individuals and add to operators’ top-lines. According to GSMA Intelligence Global Mobile Trends 2017 report , there are now over 5 billion unique subscribers worldwide – that’s a lot of voice-call opportunities by anybody’s imagination, which is why delivering great voice-call experiences is so important. If that’s not enough to get you thinking about the importance of voice, what about the future? Voice over LTE (VoLTE), with its HD quality, is becoming commonplace in many countries around the world and it’s forecast that by 2020, LTE subscribers will outnumber GSM and WCDMA subscribers combined. With that in mind it makes even more sense to employ every possible technique to help keep WCDMA subscribers happy until they make the leap. So, it’s still very much worth “putting your money where your mouth is” – if you’ll excuse the pun. 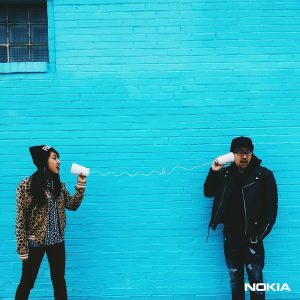 Check out Nokia’s latest 3G software features from Premium Voice Quality and High Rate HD Voice to Dynamic Voice Call Prioritization and Accelerated Voice Call Set-up. They may just be music to your ears. Visit our dedicated WCDMA webpage to see how we can help you give your customers the best smartphone experience.